Inside car 7007. 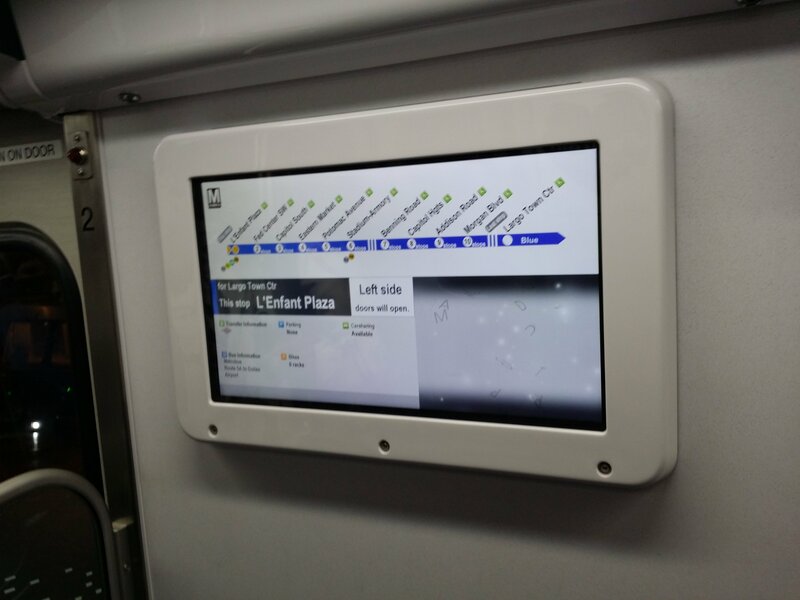 This is one of the non-cab cars, which is a new thing for Metro. 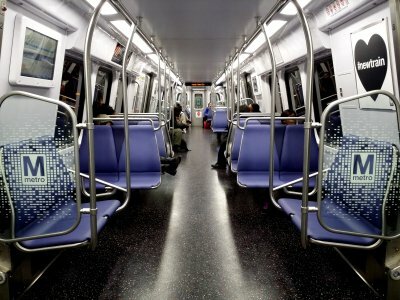 In the older railcars, a cab would be directly behind the camera, but in these cars, there is a set of hostler controls for yard movements adjacent to the bulkhead door. 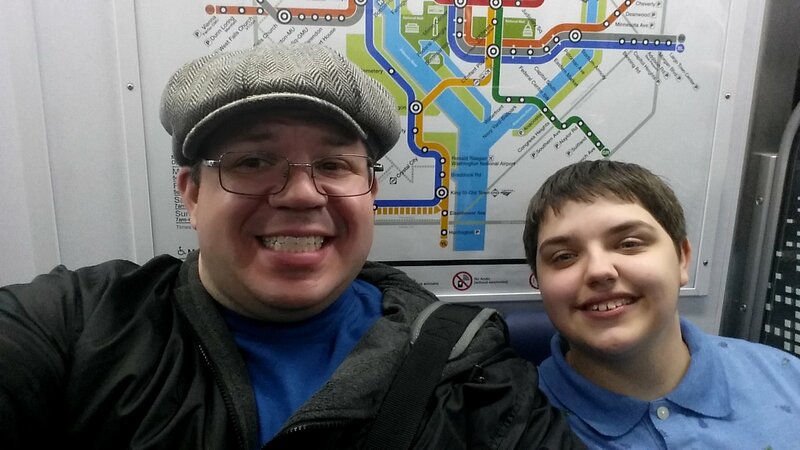 Elyse and I also took a selfie not long after we got on. We sent this to Metro’s social media team to show that we had, in fact, caught the train, and we thanked them for helping us find it. 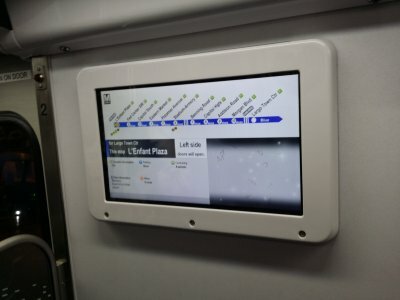 The new electronic strip maps, showing the next stop, and the next ten stops on the line. Maybe now, do you think my mother will stop asking me how many stops we have until our destination? 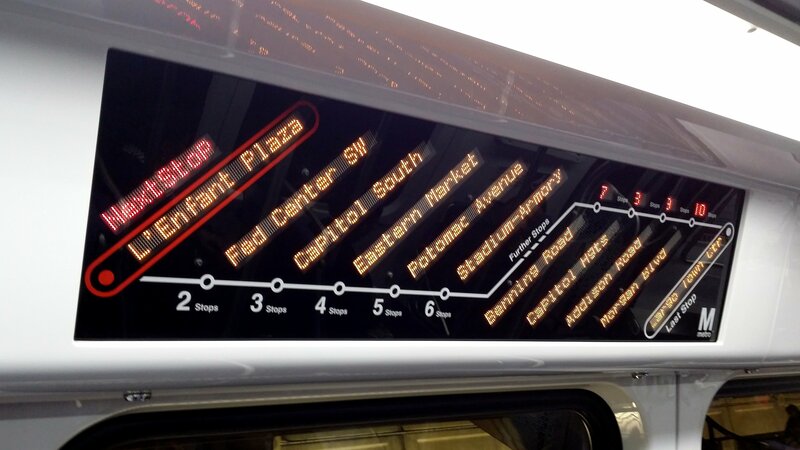 Showing the next five stops. In this case, 12 stops to the end of the line. 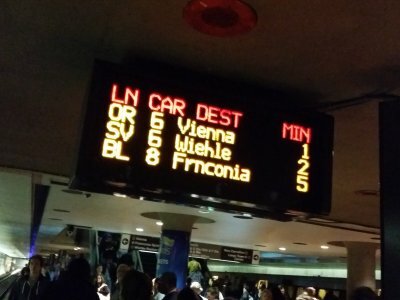 The new electronic displays. It was showing another strip map on this occasion. The interior LEDs at the ends of the car. 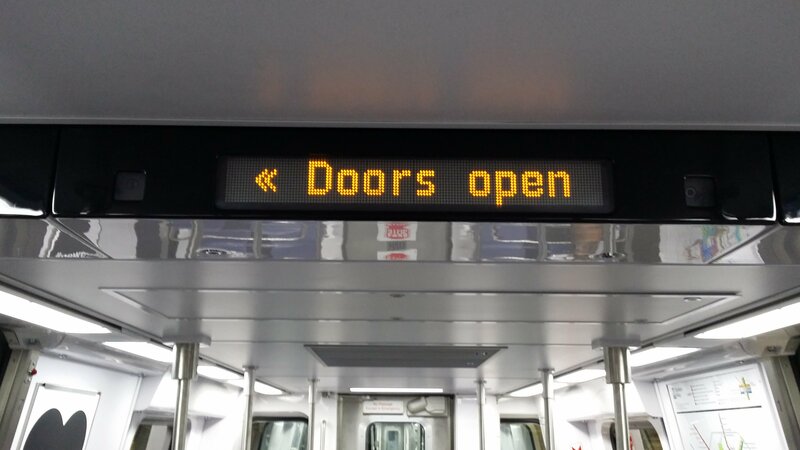 This replaces the simple “<<<” that the older railcars show to indicate door side. This is something that I missed during the preview at Greenbelt last year. The bulkhead doors have windshield wipers on them. I was at first perplexed about why the doors would have wipers on them, but then I remembered the hostler controls (behind that panel to the right), and it all made sense. 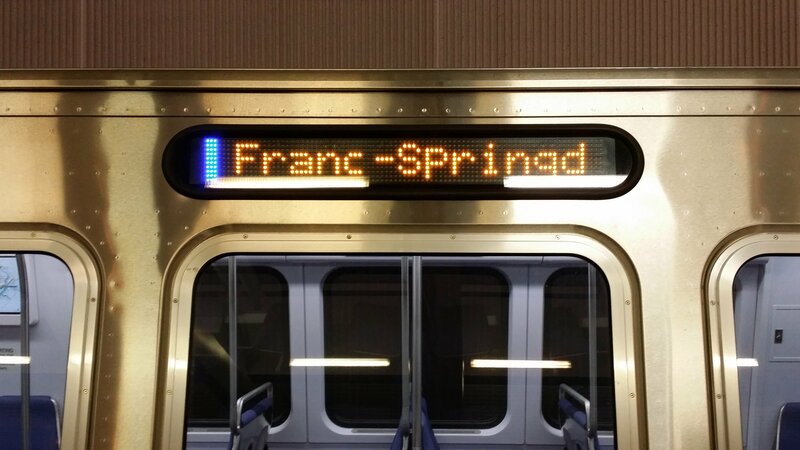 And like the older railcars, it shows “Franc-Springd”. 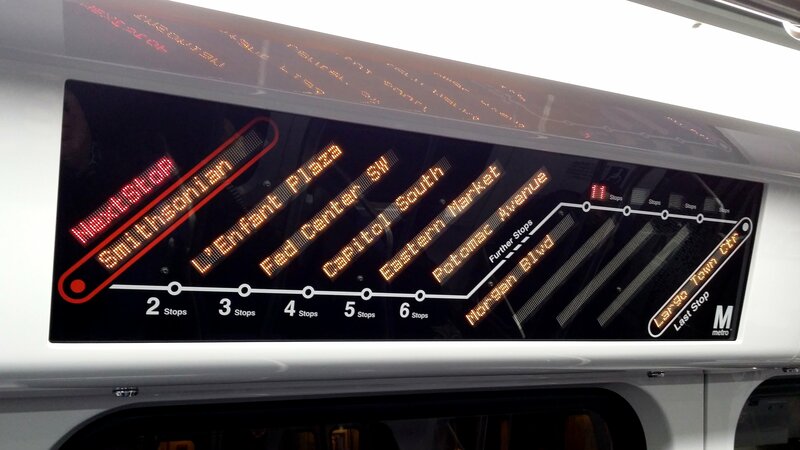 However, when it shows Largo on the sign, it shows “Largo Town Ctr” instead of just “Largo” like the older railcars do. So far, I’ve seen the new cars displaying Branch Avenue, Wiehle, Largo, and Franconia-Springfield. All in all, not bad. Only one thing left me a tad disappointed: the automated announcements. 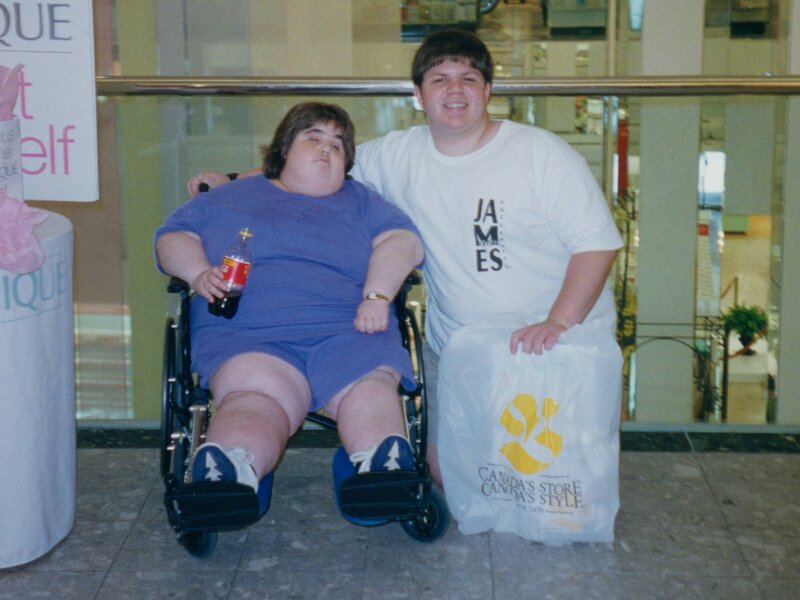 They seemed a bit rough, with the voice’s sounding like a computer-generated voice similar to the Google Maps lady rather than a live person’s voice, like that of Randi Miller, who voiced the “please move to the center of the car” message that we’re all familiar with. 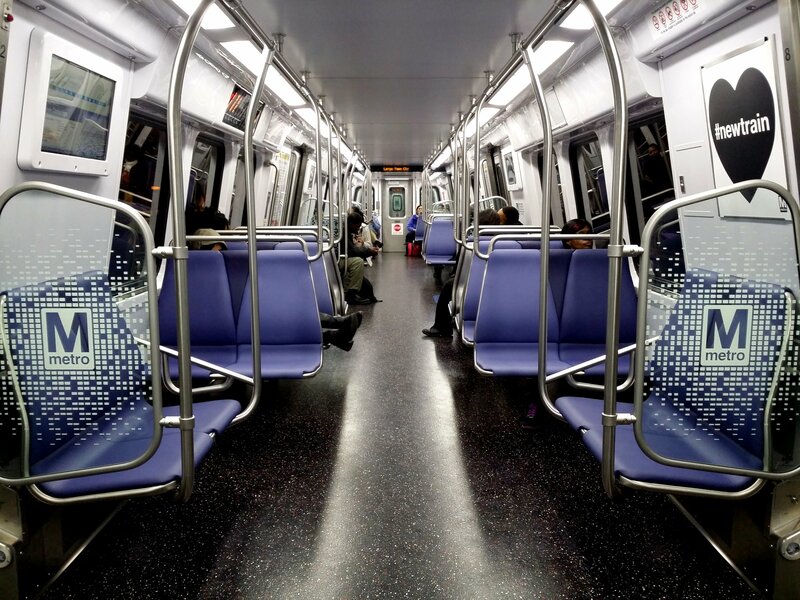 Personally, I would love to see Metro bring Randi Miller back to record a full set of announcements for the new railcars (though Miller once admitted that hearing herself on the train drove her a little nuts). Time will tell, I suppose. The 5000-Series railcars had some tweaking after they entered service as well, as the signage went from the original mixed case to all-caps. There could be similar changes made here, but who knows. 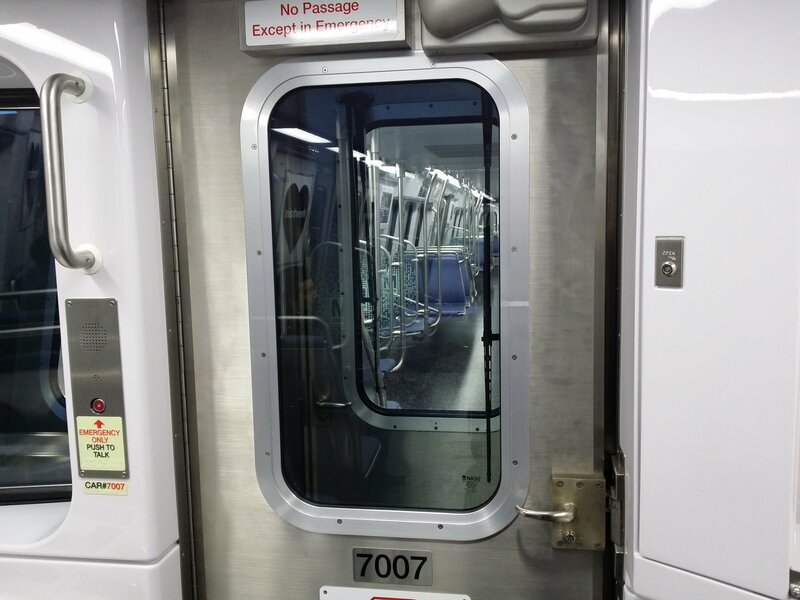 In any case, I had fun on the new 7000-Series railcars. I look forward to riding them a lot more in the future, though I certainly will miss the Rohr and Breda railcars that they are replacing.